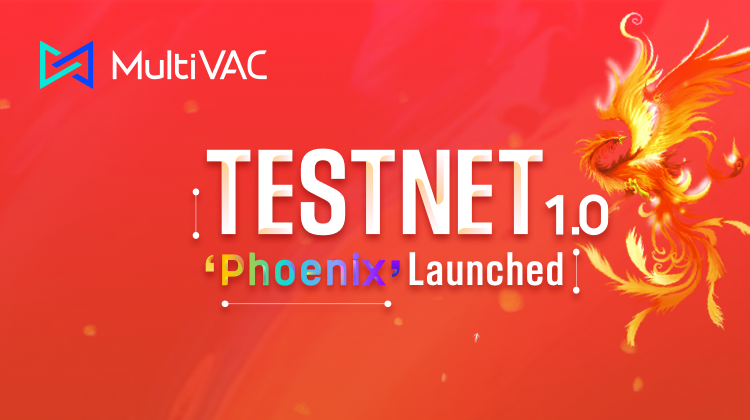 After long waiting, MultiVAC finally released the testnet 1.0 “Phoenix” on February 28, 2019. As MultiVAC’s 1.0 testnet version, “Phoenix” is already developed with core modules including shards, a consensus, storage nodes, and a communication mechanism. It is also equipped with an all-demensional sharded base-layer in terms of computing, storage, and transmission. Testnet “Phoenix” is the project outcome born out of the sharding paper released in September last year by MultiVAC’s tech team. Just like the testnet’s name “Phoenix”, the release of testnet 1.0 means that MultiVAC is finally reborn. MultiVAC’s all-dimensional sharding solution is leading the blockchain into a new era, redefining sharding technology. In MultiVAC’s testnet, users can view block generating status and access transaction details via the blockchain browser. MultiVAC testnet’s average block generating time is eight to ten seconds. In comparison, Etherum takes 15 seconds and Bitcoin, ten minutes. In last year’s lab testing, MultiVAC peaked at 30,784 TPS in a network composed of 64 shards and 12,800 nodes, which was an outstanding performance. The whole network also showed sound linear scalability. MultiVAC continues to upgrade the testnet to include ordinary PC mining client, a complete economic model and stimulus system. Don’t hesitate, let’s go and experience it! MultiVAC is High-Throughput Flexible Blockchain Platform based on Trusted Sharding Computation. It’s a next-generation public blockchain platform built for integration with large-scale decentralized applications (DApps). The core aspect of the protocol is to enable developers to customize parameters for consistency, availability and partition tolerance, providing a high degree of user autonomy over the blockchain infrastructure.